When you’re considering a home renovation project, you want to know your property is in the best hands.That’s why you want to work with Trademark Construction. For over 16 years, we’ve beenhelping clients throughout Baltimore, Maryland and the surrounding area with every sort of remodeling project you can imagine – from installing new flooring to providing completely customized home designs and everything in between. Our owner has extensive training in renovation and design-build construction, and can work on both large and small residential remodeling projects with ease. In addition to experience, the team at Trademark also offers competitive pricing and flexible financing options to accommodate a variety of budgets and financial situations. Our true goal is to ensure that you are completely happy with your home and the work we do, no matter the size of the job. Definition of Eden: paradise – a place of pristine or abundant natural beauty. Eden Home Renovations is a locally owned and operated construction company servicing Charm City and nearby towns. Joe’s extensive experience in the construction arena blended with Karley’s knack for design and creative background builds the foundation on which their company stands—to provide an unmatched experience and change the stigma surrounding an industry they both hold near and dear. Settled in Roland Park, Joe and Karley see their customers as neighbors rather than clients. And so, they created Eden to provide Baltimore with a full-service home remodeling and interior styling company dedicated to helping their neighbors live their own version of paradise. We're not your average construction company. Full service real estate company owned and operated by Broker Dawn Lednum. The Plus LLC includes Safe Harbour Construction providing custom modular homes, historic renovations, remodeling & additions. We offer the best general contracting services in Maryland. please contact us for all your home building needs! We specialize in remodeling homes! If you need a kitchen, bathroom remodeled.... you name it...we can do it! Garrison Homes is a third generation home building artisan offering more than 75 years of combined semi-custom and custom residential, commercial and luxury home building experience. Looking to sell your house fast in Baltimore or any surrounding county? We buy houses directly from sellers with no commissions or fees. Whether you’re going through a foreclosure, can’t sell your property, or need to sell your house for any reason. We can provide you a quick, fair offer over the phone or meet with you in person to discuss a win-win solution. No need to worry about repairs, we buy houses as-is no matter the condition in as little as 7 days. Give us a call today and we will provide you an offer right away — Guaranteed. We keep our promises and provide you with first-class confidence that your problem is solved. Even if we’re not a good fit, we will provide you expert advice on how to get the most money for your property. We’re Maryland natives so you can sleep well at night knowing that you’re working with a local professional. Don’t give away your hard earned money to a real estate agent before you give us a call! We will buy your house directly so you can cut out the middleman and keep that commission in your pocket. There are no gimmicks or fine print. We simply want to purchase your property in cash, without contingencies, without fees, and without any surprises — the same as we have done for dozens of other Maryland property owners just like you. We have developed and customized homes since 1957. The showcase of our remarkable homes can be see throughout Baltimore, Howard and Harford counties. If you are not sure to where to start, we offer plan development and structural engineering services to get your dream home started. If you have ever visited any of the following subdivisions, you will see our artistry and craft on display that will give you ideas to customize your own dream home: Greenspring Hunt Valley Cloverland Farms Greenspring Hedgegrow Ruxwood Westwick Valley Garth In addition to our custom home designs, we can build an ICF (Insulating Concrete Form) Home for your as well. This alternative home design offers many "Green" benefits that include: Energy Efficiency Safe and Healthy Flexible in Design Noise Reduction The ICF home is not only an energy saving and green type of home, but a safe home to protect you and your family in dangerous weather. With concrete as a basis for the build, these homes can withstand the most severe storm hit. The award winning ICF home we built in Hunt Valley can be seen in our Showcase. Davari Companies perform a variety of services within its four divisions and have successfully completed projects for residential subdivisions, and single/multifamily residences. We are as innovative and productive designing and developing a full scale project, as we are reviewing the smallest of details. We take great pride in every project we do. 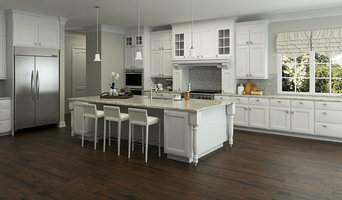 Shackelford Builders LLC prides itself on being the go-to choice for clients looking for Custom Homes, Residential Remodeling and Kitchen Remodeling services. Our business is our livelihood but it is also so much more. Shackelford Builders LLC was started to fill in a void in the current market and to make a business that people can place their trust in. Over the years we have never lost our commitment to our clients and that is what has allowed us to succeed in a very competitive industry. The employees of Shackelford Builders LLC stand committed to our purpose and will provide the best service! Norman L Graham Inc. is a premier builder of fine custom homes and additions in Lancaster County and surrounding areas. We specialize in quality craftsmanship with high integrity. We Specialize in Interior & Exterior home Renovations, Including Bathroom and kitchen remodeling, additions and more! North Market Construction was founded in 2014 with a singular focus – to design, build and renovate quality homes at an affordable price. Greg and Randy both started their careers with one of the nation’s largest home builders. They first met in the lobby of a small office on North Market Street and continued to work together for the better part of a decade.